It’s Christmas Day here in Aswan. And Christmas, we like to say, is a time of giving. which consequently means receiving too. Often, I’ve experienced this exchange as something between two parties. One gives, the other receives. Or visa versa. And then there are those moments when the lines blur and the act of giving is experienced as an act of receiving as well; to give is to receive. Photo: Christmas Eve and the staff here at Fekra Cultural Center enthusiastically consent to a yoga class when I offer. Today, they were eager to go again. Tomorrow, will teach them the Sun Salutation sequence so that they can practice without me. Very excited, it’s the cherry on top of an amazing second retreat already. 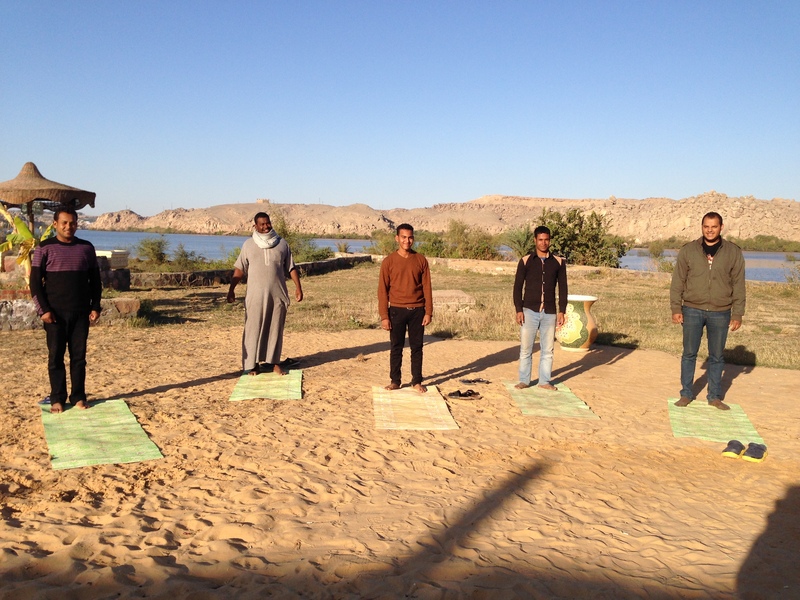 This entry was posted in Classes & Offerings, Musings from the Mat, Musings off the Mat and tagged Ashtanga, Ashtanga in Aswan, Christmas, Egypt, Retreat, Yoga by sisterhoodofthetravelingmala. Bookmark the permalink.